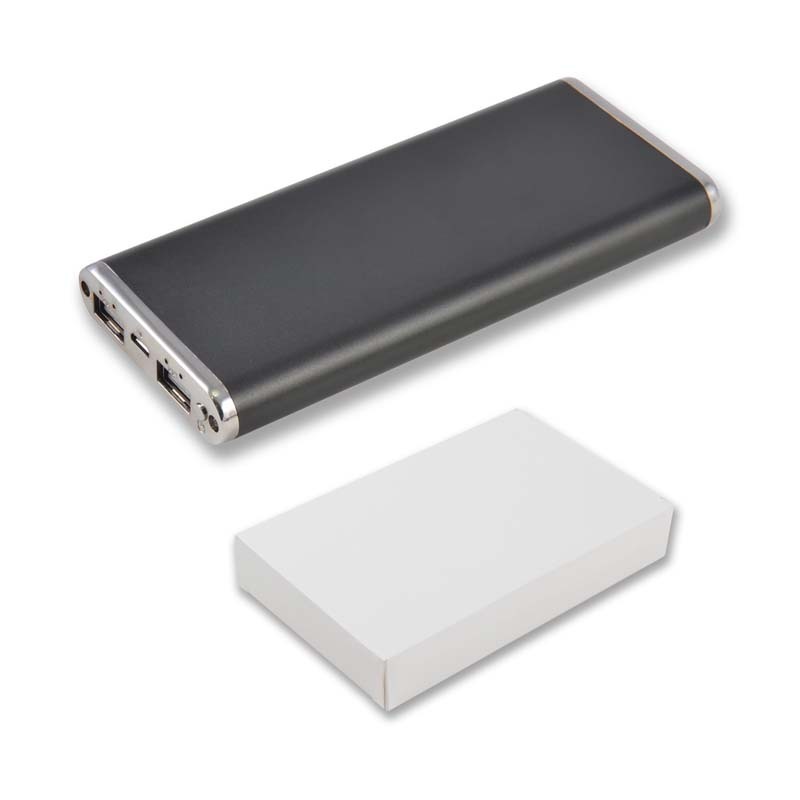 8000 mAh portable charger with A Grade Li-Po battery that can recharge from a USB port. 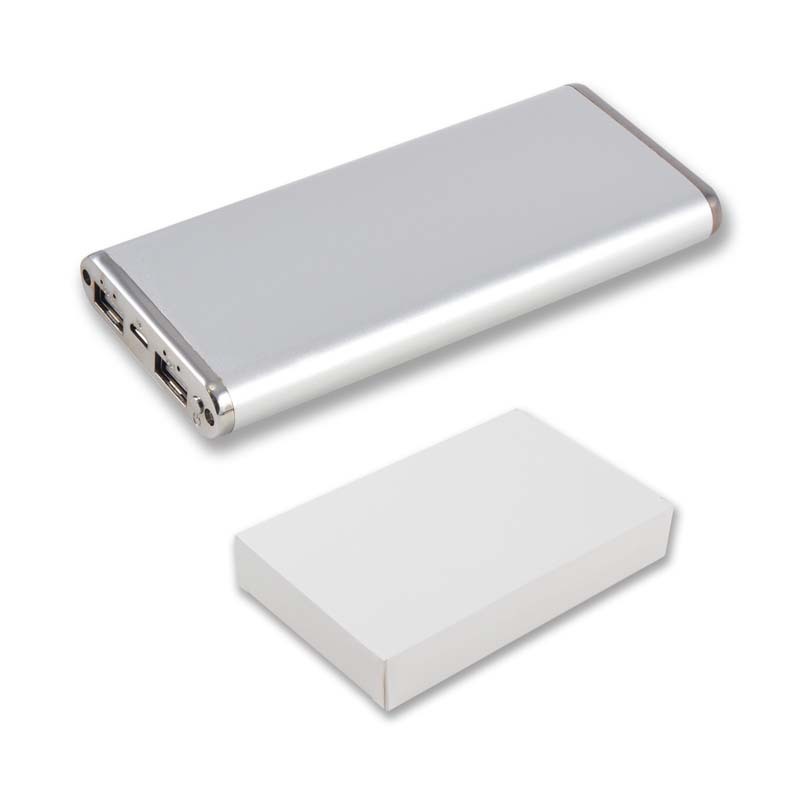 Capacity to recharge most phones on the market multiple times and full charge for tablets. 2 USB ports to charge 2 devices at the same time. 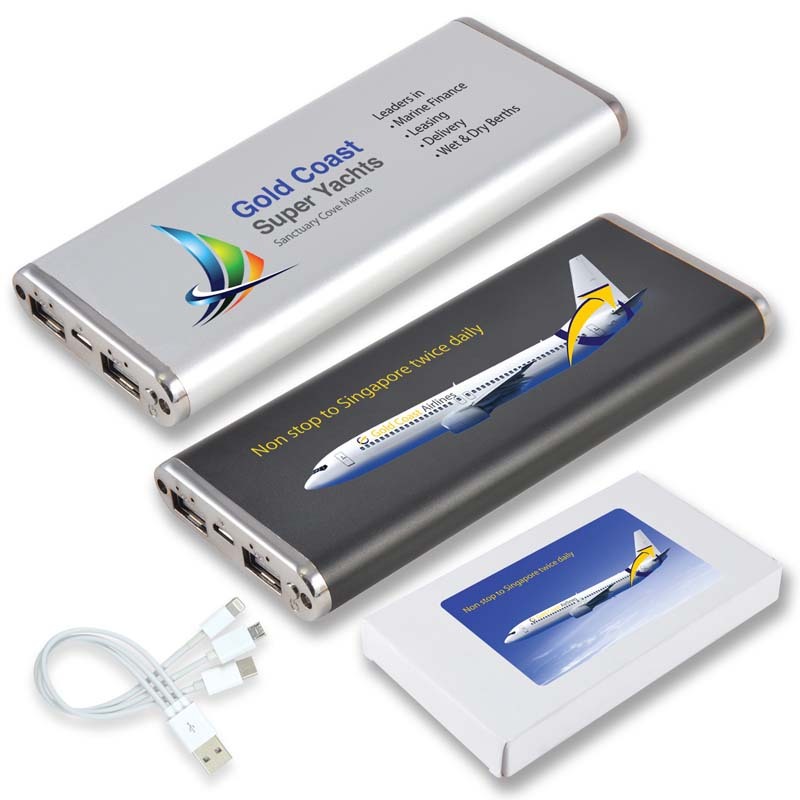 Gift boxed with 3 in 1 connector to use with most current mobile devices on the market. EVA black zippered pouch available at additional cost.